The Los Angeles Chamber Orchestra often plays larger symphonic works — and does so quite well — but one of the joys and privileges of having a standing chamber group like them is the chance to hear pieces written for small to medium-sized ensembles that a full-sized orchestra would not take on. Their most recent concerts were laden with concertante works by Mozart, Stravinsky, Bach, and Handel — the kind of concert for which they are very well-suited and play at an extremely high level. 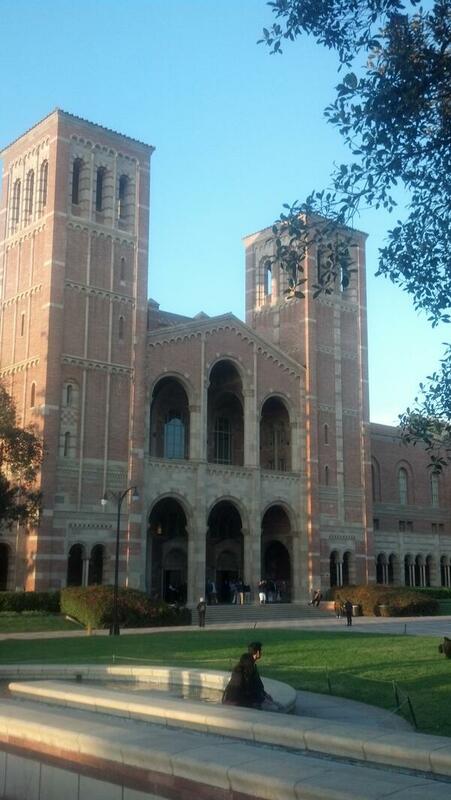 On the Sunday performance I attended at UCLA’s Royce Hall, this was clearly evident from the get-go with the evening’s opening piece, Mozart’s Serenade No. 10, Gran Partita, a seven movement work for wind instruments and a single double bass. Throughout the 40-minute traversal of various moods, textures, and rhythms that Mozart tosses out, I couldn’t help but smile at the way melodies seamlessly passed between oboes, clarinets, basset horns, bassoons, and horns. Music Director Jeffrey Kahane ensured that the ensemble playing and blend was impressively tight and well-balanced, with Allan Vogel (Principal Oboe) and Joshua Ranz (Principal Clarinet) playing some particularly beautiful solo moments. After intermission came more of the same with three shorter works, the first of which was Stravinsky’s Concerto in E-flat major, Dumbarton Oaks. Commissioned in the 1930’s for the 30th wedding anniversary of Robert Woods Bliss and Mildred Barnes Bliss (i.e. the owners of the Dumbarton Oaks estate in the Georgetown neighborhood of Washington, DC), the chamber work has the distinction of not having a prominent solo instrument as you’d expect a “concerto” to have. Instead, each instrument in the ensemble has a few moments of prominence, once again showing off LACO musicians’ skills as both individual artists and as a coherent single entity. Mr. Kahane led a performance that was nicely angular while also maintaining the long line. For me, the outstanding performance of this rarely heard gem was the biggest treat of the evening. The Fifth Brandenburg Concerto by Bach was up next, with Mr. Kahane on piano being joined by Concertmaster Margaret Batjer and Principal Flute David Shostac as soloists. Overall, it was another excellent performance: brisk, athletic, and robust. Ms. Batjer played with her typical combination of technical brilliance and sterling tone. Mr. Kahane took full advantage of the range of colors that his modern Steinway afforded him, especially in his thoroughly virtuosic first movement cadenza, while still keeping his overall dynamic range compact. Mr. Shostac sounded lovely when you could hear him; unfortunately, he seemed a tad underpowered compared to all of his LACO colleagues and despite Royce Hall’s stellar acoustics, you’d often lose him. The concert closed with selections from Suites 1 & 2 from Handel’s Water Music, beginning with the final three movements of the F major suite before continuing with the first two movements of the D major suite, the famous “Alla Hornpipe” serving as the evening’s finale. Mr. Kahane took slightly slower tempos than I expected, but this left more room for LACO’s musicians to offer up some nice baroque embellishments to the score without going over the top. Mr. Vogel and Principal Bassoon Ken Munday had some particularly zesty moments. I sensed that coming from these individuals, this was high praise indeed — and the fewer Stravinsky haters there are in the world, the better place it would be. Robert Ward, the San Francisco Symphony’s Principal Horn, served as LACO’s acting principal horn at these concerts. At the time, the SFS was still on strike. Andrew Shulman, the orchestra’s Principal Cello, was also listed in the program insert as “acting principal;” however, I confirmed with LACO representatives that this was merely a misprint. Whew — was worried for a bit that he was no longer officially with the orchestra. Suite No. 1 in F major, HWV 348: 8. “Bourrée,” 9. “Hornpipe,” 10. Tags: Allan Vogel, Bach, David Shostac, Handel, Joshua Ranz, Kenneth Munday, Margaret Batjer, Mozart, Robert Ward, Stravinsky. Bookmark the permalink.